People who have stagefright and fear of public speaking have the potential to be brilliant business communicators, speakers, actors and singers! That is because they have the feelings. Their feelings are up to the surface where they can be used to make genuine connection with audiences, groups and listeners. Genuine connection is the key to brilliant performances and presentations. If you have stage fright or fear of public speaking, it is a sign that you are highly sensitive. You probably already sense that you have more passion than you allow yourself to express when you speak, present, communicate or perform. Because you have stagefright, your passion is so strong that you do not know how to let it flow through your body when you are the center of attention. This public speaking anxiety causes you to shut down the flow of emotion when you are in front of others. Stage fright makes you tighten your body from the neck down and go into your head, sometimes even feeling "out of body." The solution for stage fright and public speaking anxeity is presence - to learn to stay present in your body, in the moment and to allow your passion to be expressed in your presentation or performance. Our approach to help you overcome fear of public speaking first teaches you how to transform the tension of stage fright into a relaxed and natural presence. Then, we guide you to connect with your passion and express yourself freely while you are performing, presenting or communicating in front of others. So you can shine! 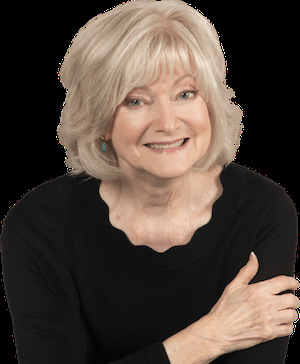 Our method of transforming stage fright into Authentic presence was created by Sandra Zimmer, founder of the Self-Expression Center in Houston, Texas. Beginning in 1987, Sandra developed her method based on her own fears and anxieties faced as an actress, speaker and trainer. Since then, she has facilitated thousands of people to successfully overcome fear of public speaking, transform their stage fright and develop their natural abilities as communicators, speakers, actors, presenters, singers, musicians and group leaders. See Transform Stage Fright class descriptions. See Sandra's article “10 Ways to Transform Stage Fright”. 8-Week Course – Speaking from the Heart Group Speaking Fast Track meets 8 Monday nights, 7 - 9:30 pm. 2-Saturdays – Transform Stage Fright Weekend Workshop meets 2 consecutive Saturdays, 9:30 am - 3 pm. 3-Day Weekend – Sandra Zimmer Method Weekend Workshop meets Friday 2 - 6 pm, Saturday 10 am - 3 pm and Sunday 10 am - 2 pm. Individual private coaching in person or by Skype is also available.